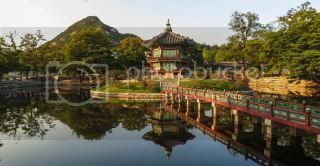 The Republic of Korea (South Korea) is often called “The Land of the Morning Calm.” Initial impressions on arrival were more the land of the morning, midday, evening, and night stink. In 1972, open sewers were common. Night soil, or human waste, was used to fertilize rice paddies. And kimchee, the second national food after rice, smells so bad that it makes our ramps smell like the finest French perfume. Kimchee is roughly equivalent to our sauerkraut. It is fermented cabbage, but the additions make a vile concoction. They eat a protein-deficient diet with so much rice and noodles. So they add any sources of protein they have to kimchee - fish parts and fish heads among them. They also add hot sauces and fish sauces. The smell is overwhelming. Despite that, my year in Korea was a great experience. Koreans are the hardest working people I’ve ever seen. They are also the most security-conscious and disciplined. Their country was devastated pretty much back to the stone age by the Korean War. 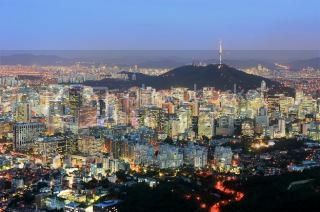 By 1971, they had rebuilt their capital city of Seoul. It was a beautiful, bustling city. They had built a 4 to 6 lane superhighway from the DMZ in the north to Pusan on the southern tip of the peninsula. Their economy was really beginning to expand then. I am not surprised that we are now importing automobiles from them. Seoul is a close distance south of the DMZ. It is also close to Red China. Their north-south freeway had tank traps every few miles to slow an invasion from the north. They also had quad-fifty mounts all along the road to mount the four-barrel .50 caliber machine guns. They take their security very seriously. While I was there, the ROK Army took over security on the DMZ from our Eighth Army. I felt safer. I was initially assigned as Club Steward in the Eighth Army Golf Club. I was responsible for the kitchen, dining room, and bar. I had as much expertise in rocket science. I worked with the Korean cooks and wait staff - a terrific group. They were hard workers and a pleasure to work with. They knew their jobs. I asked their advice and paid attention to them. While I was there, I planned a party for the 20th Evac Hospital, the one that the patients were transferred to from the 4077th on the M.A.S.H. television show. It was still active in Korea. They partied a lot like the M.A.S.H. doctors! I bought a jar of jalapeno peppers for my head waiter. We went into the bar one night after closing. He ate the entire jar, washed down with straight vodka. They do like their spicy foods. He had served with the Korean forces in Vietnam. He hated the Vietnamese. He said that if the Koreans had the climate and soil the Vietnamese had, they would be the wealthiest country in Asia. I think he was right. At our Christmas party for the staff, a waitress introduced her 2-year-old son to me. He was dressed in a formal black suit and tie. He bowed deeply from the waist and addressed me as “Sir” with the formal Korean greeting. He was so cute I had a real struggle to keep from laughing. That party got pretty wild; the Koreans like to party as much as the doctors from the 20th Evac. One of our waitresses got married while I was there. She invited the three Americans in the club to her wedding. The Club Officer, a Captain, said that one of us had to go, but that he wasn’t. The accountant, a department of the army civilian, said,”Not in my job description” so I was volunteered. I went with my head waiter, Mr. Pak. He suggested that I wear my green uniform. I told him to keep me from doing anything rude. They were married in a wedding chapel. It was rented to wedding parties by the hour. There were often 8 to 10 weddings the same day. We arrived early, and Mr. Pak wanted to sit up front, but my Methodist background kicked in. We sat in the rear as far to the side as possible. As the people filed in, I felt more and more conspicuous. The average height of Korean men is probably about 5’7”; I am 6’2”. 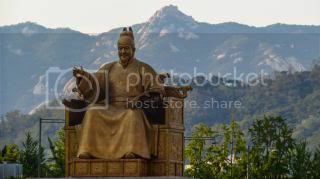 The men were all wearing black suits, black tuxes, or white traditional Korean garb. The women were all wearing white formal dresses or white Korean garb. I was a head taller and the only one wearing any color besides black or white. As I slumped as low in my seat as possible, the wedding party assembled at the front. The person officiating, a Buddhist priest I think, bowed in all directions and greeted everyone with the formal Korean greeting. Then he started talking directly to me. I whispered, “Pak, what’d I do?” He told me that they wanted me up front with the wedding party. I refused, but Pak insisted. “Great honor for them for you to be here,” so I reluctantly did. Must have been quite a spectacle - a wedding party dressed entirely in black and white except one person a head taller than the rest dressed in green with a lot of bright red on top. Somewhere in Korea, there is a wedding album with those photos. Wonder how they explain them to their grand kids! The reception wasn’t any better. As the “honored guest” everyone wanted to give me Korean delicacies. I quickly learned to hold my breath and quickly swallow. I don’t want to know what I ate, but raw fish is a prime suspect. I washed it all down with rice wine, a drink far more potent than our wine. I’m thankful that I got away without making a complete fool of myself and creating an international incident. I greatly admired and liked the Koreans. If I had stayed in the gulf club my entire 13 months there, I would have formed lifelong friendships. They hate the Japanese because of their cruel occupation of Korea during World War II. They value face as do most Orientals. They are hard working and ambitious. I watched them pave a dirt road. They had one ox to pull a wagon. The rest was hand work with 2 or 3 men and a dozen or so women and children. They all worked long hours in the hot sun around a hot fire melting the tar. They are very disciplined. Their army is one of the best in the world - tough, well-trained, well-led, and deadly. They are a remarkable people. 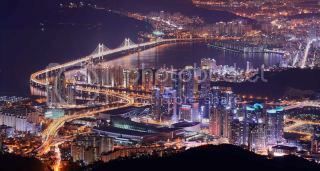 I’ve seen night satellite photos of the Korean peninsula. South Korea looks like an island. It is lit up like much of America. North Korea is dark. There is no better visual image of the contrast between capitalism and communism than those photos. I would enjoy going back. The improvements between the end of the Korean War and 1972 were breath taking. No doubt the changes since then are as dramatic. It was a good year.